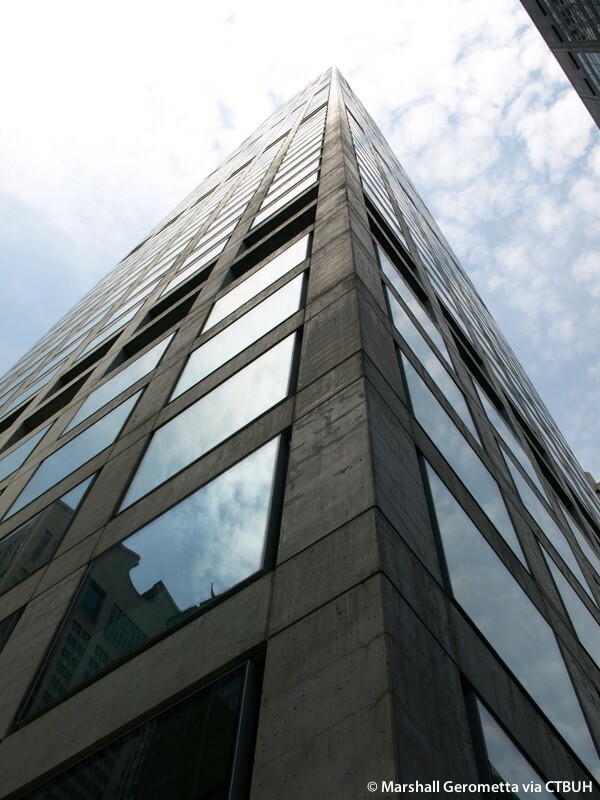 • Façade Enclos Corp.;	Vidaris, Inc. 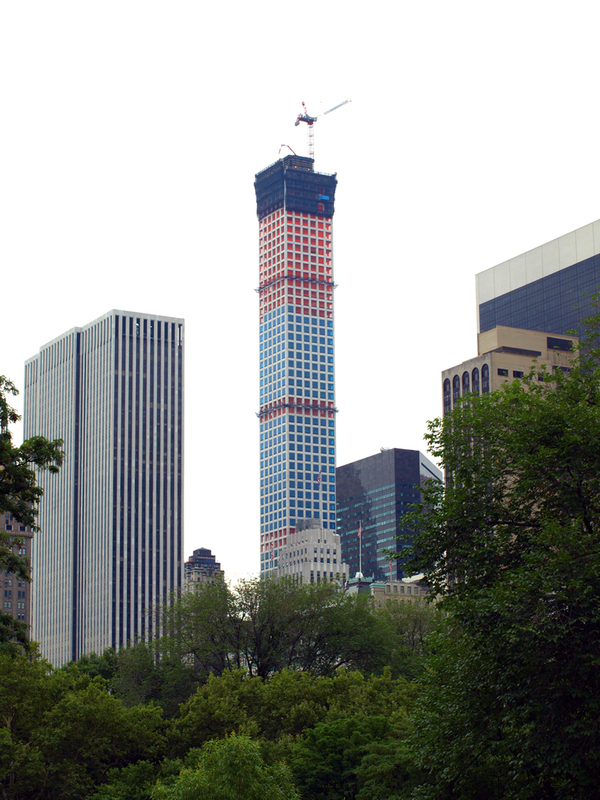 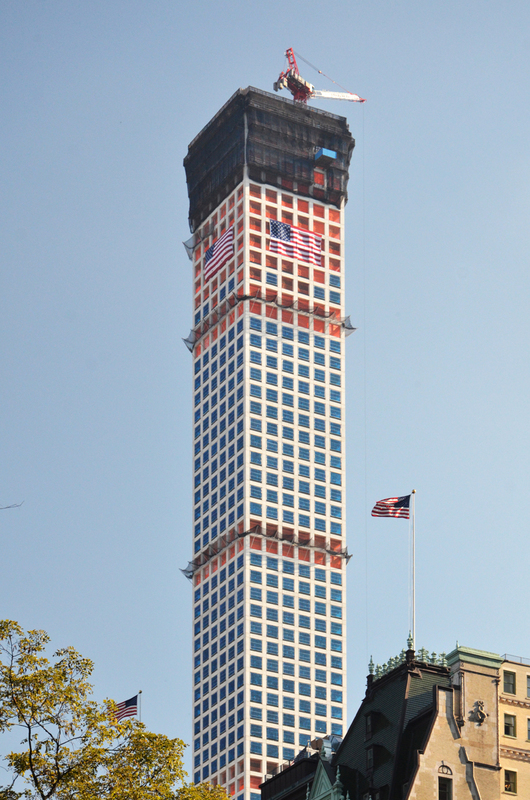 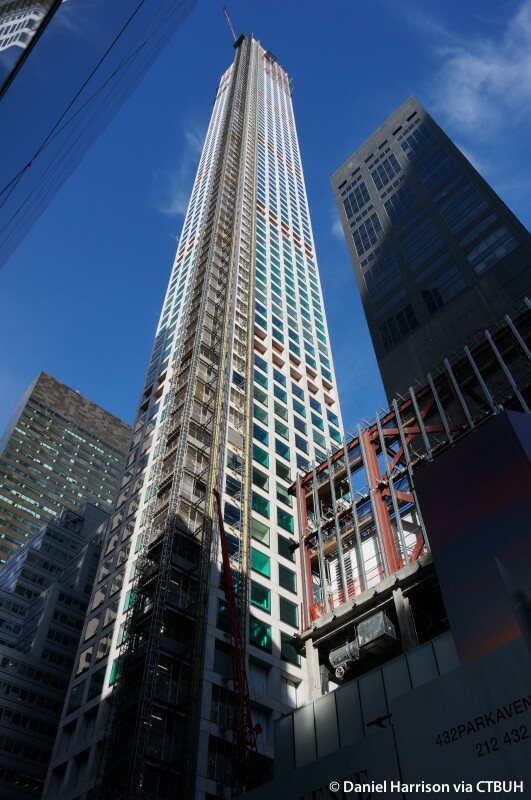 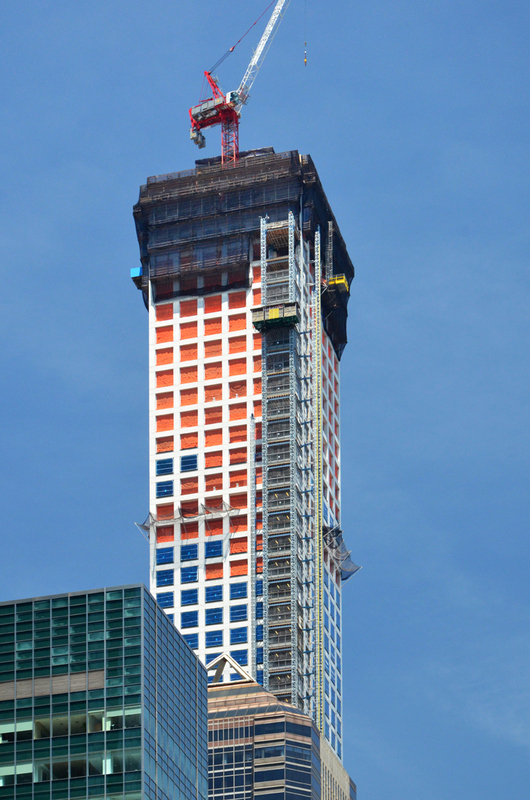 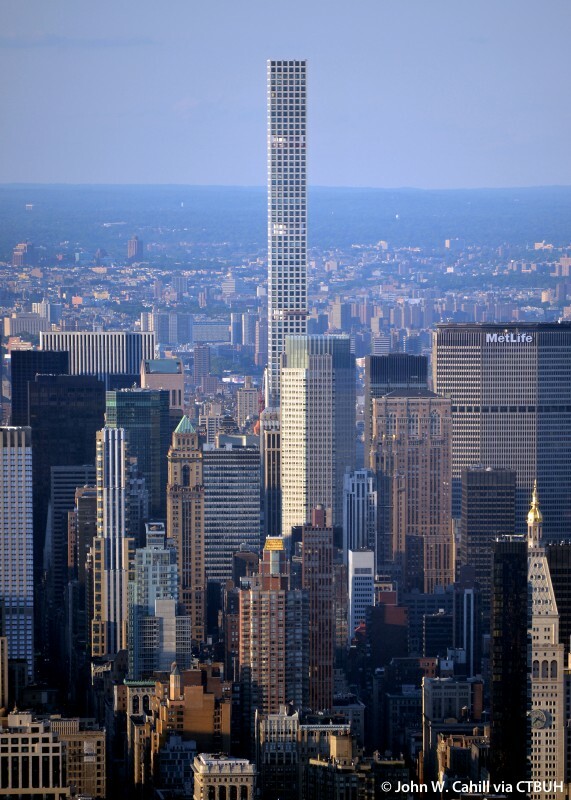 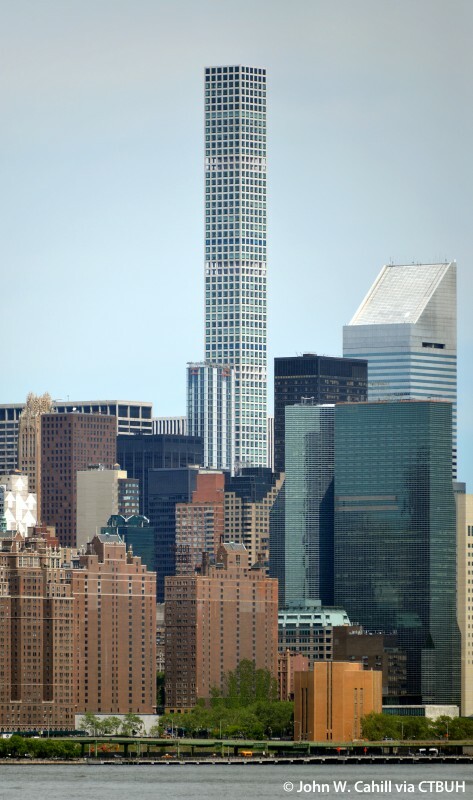 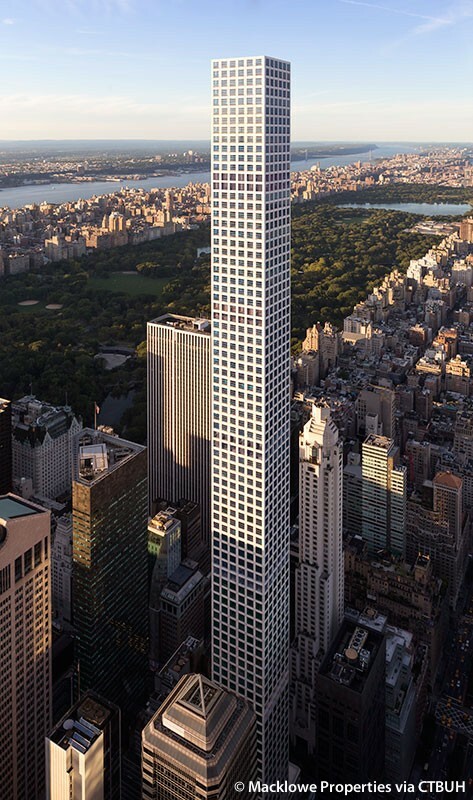 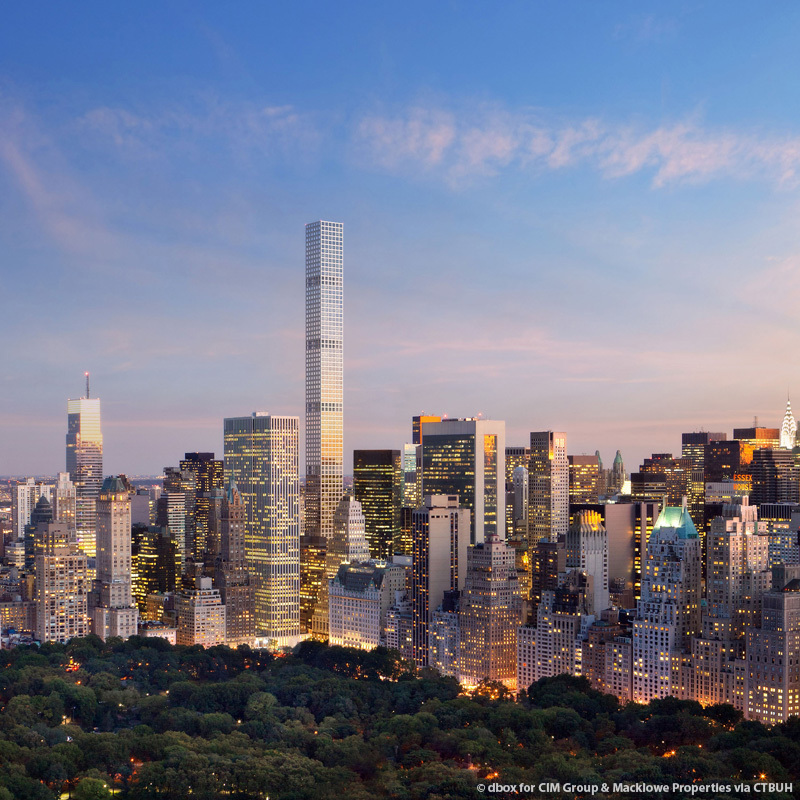 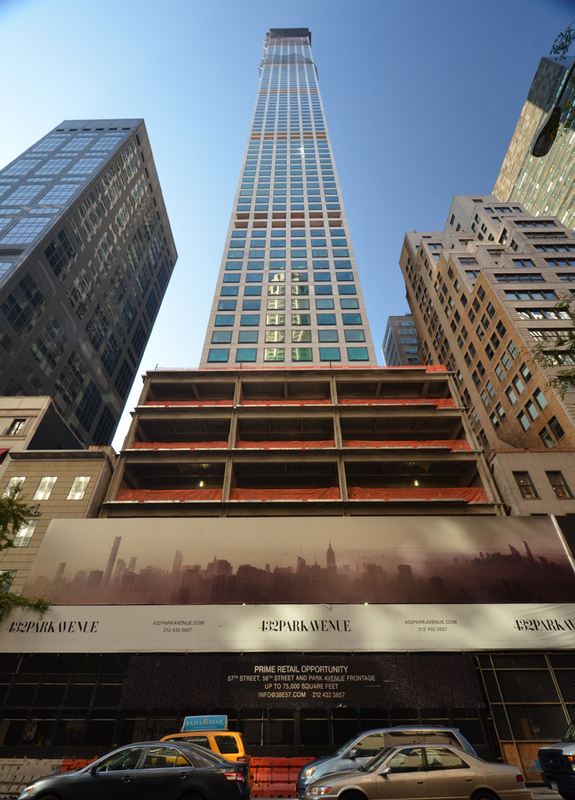 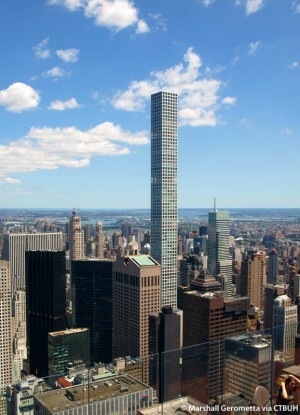 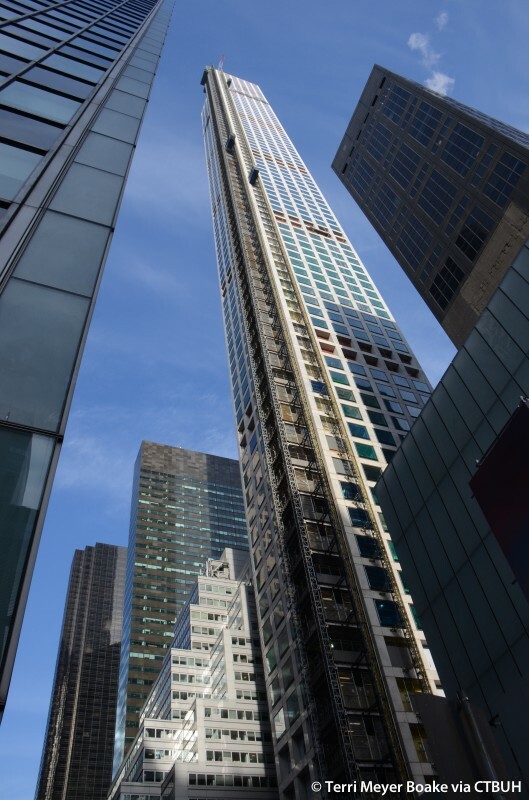 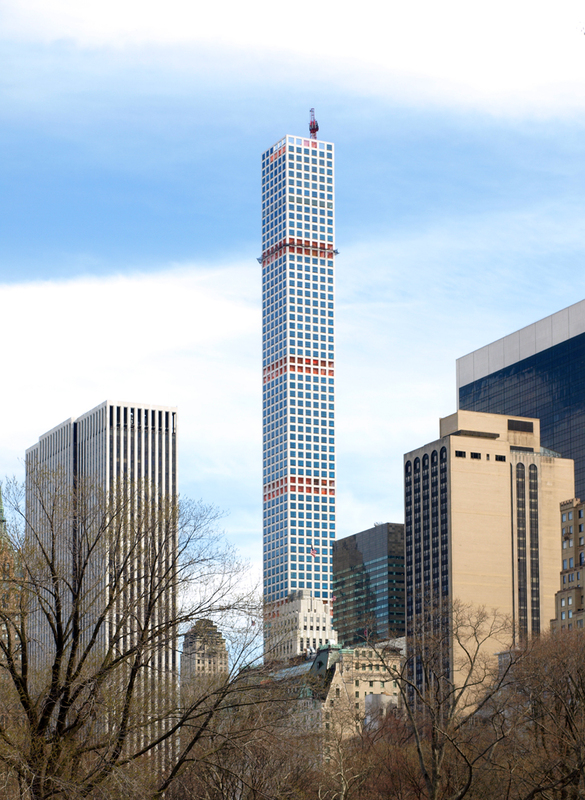 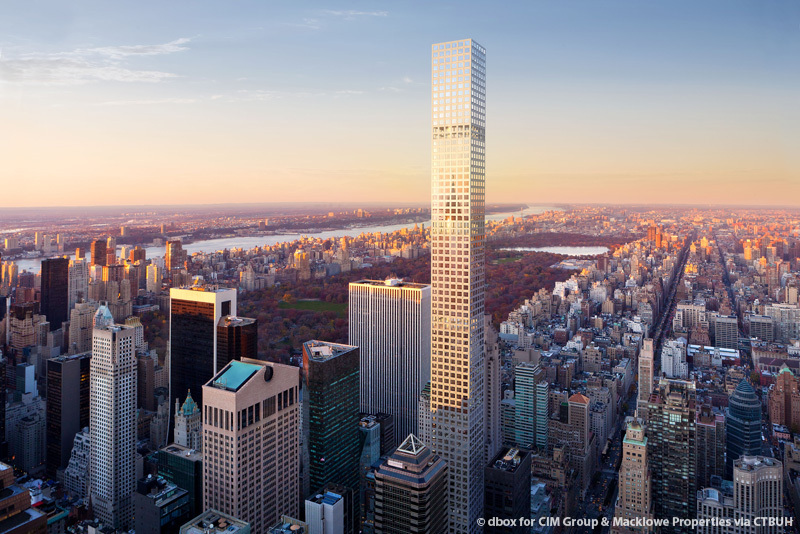 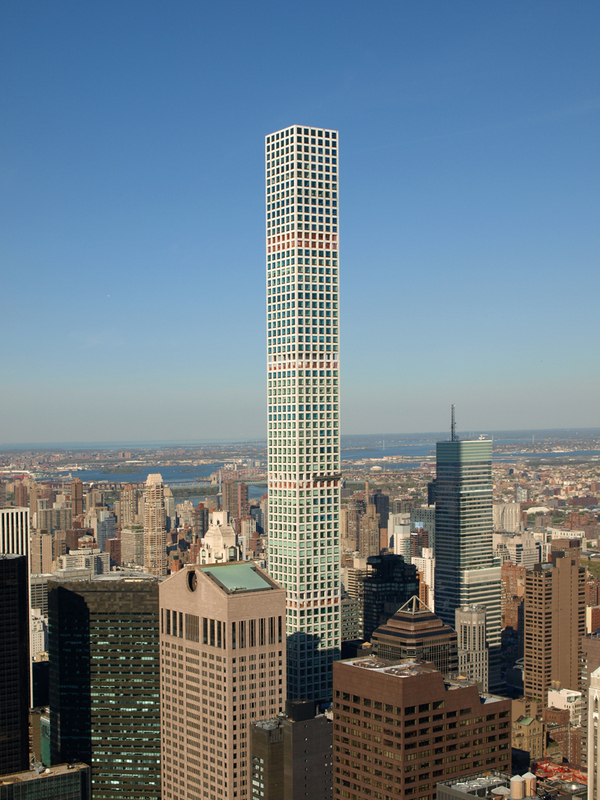 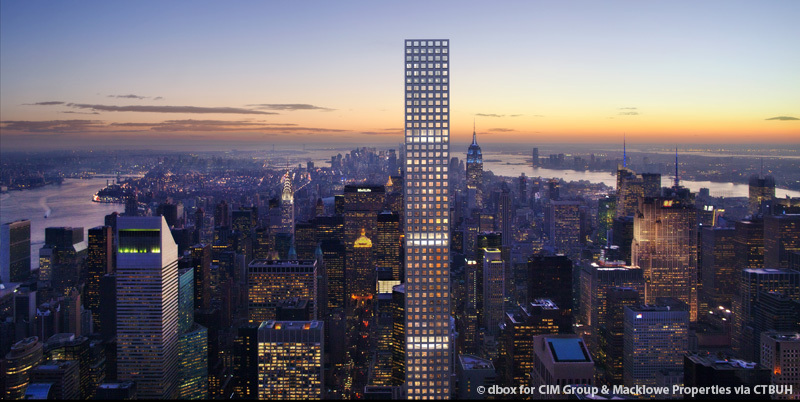 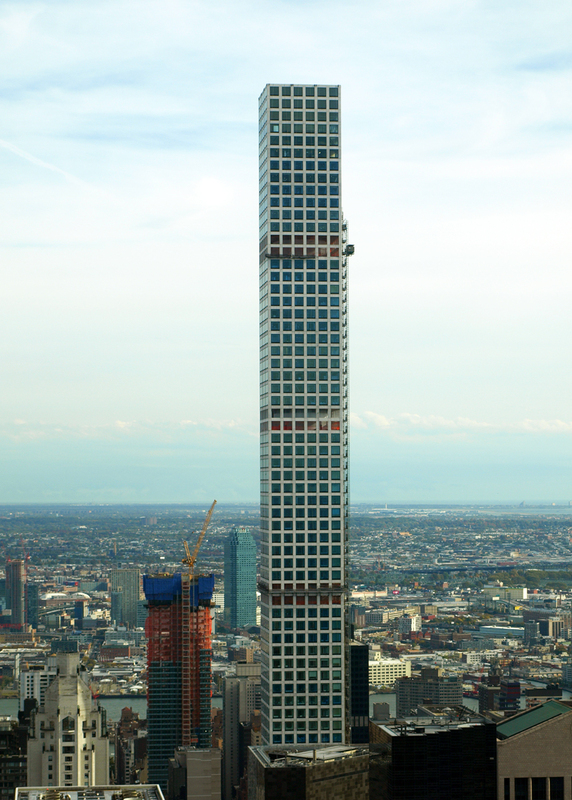 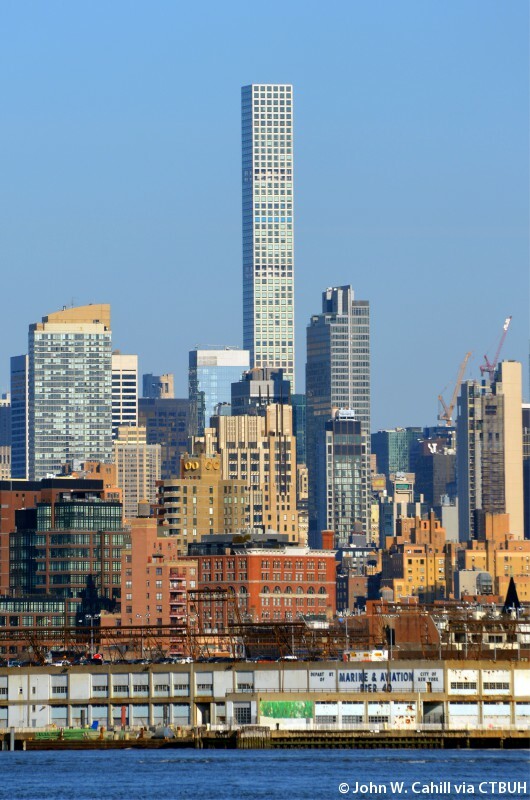 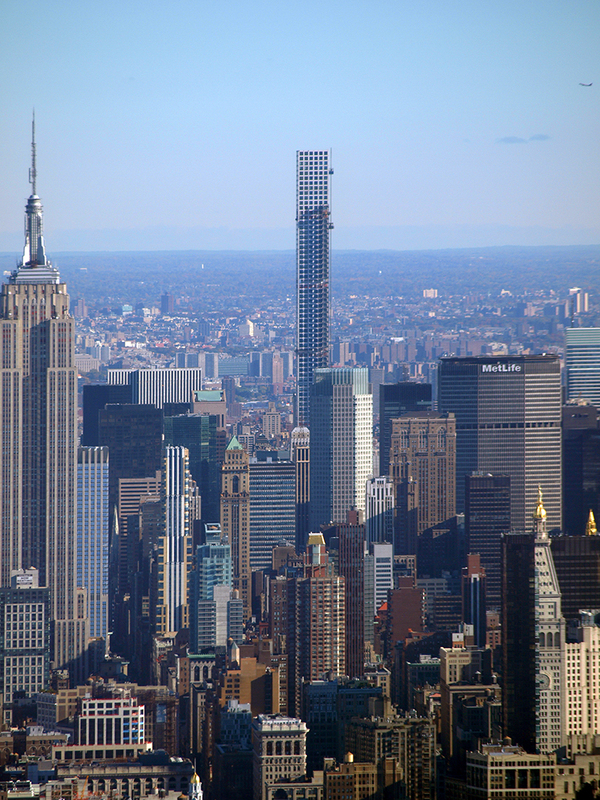 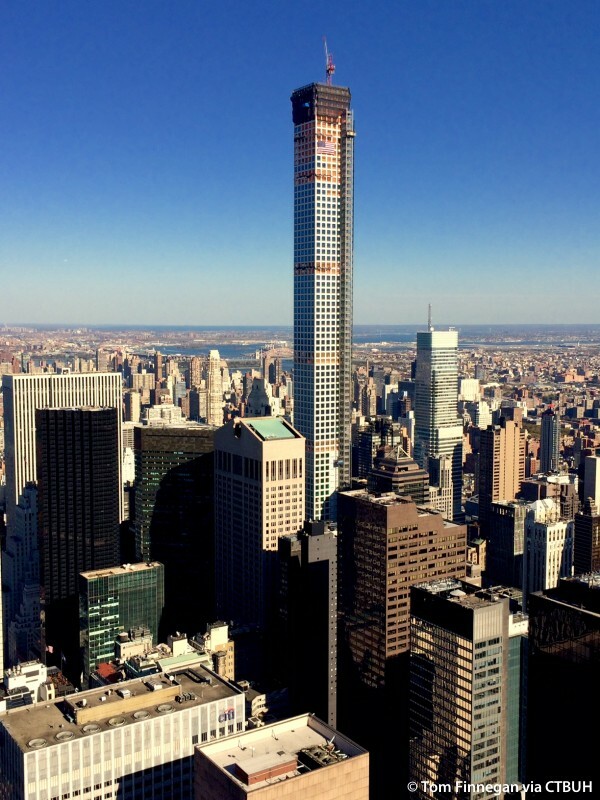 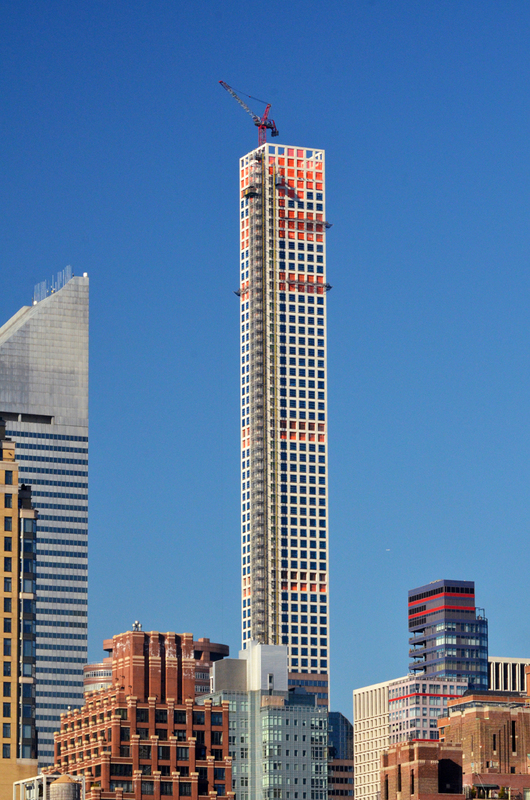 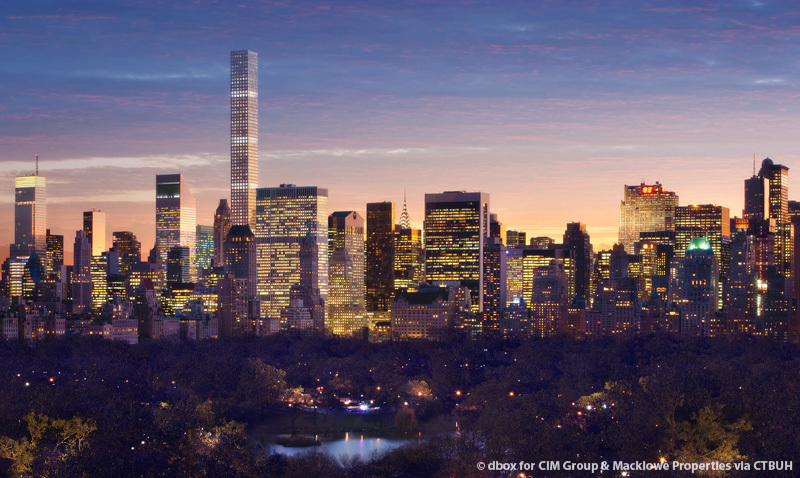 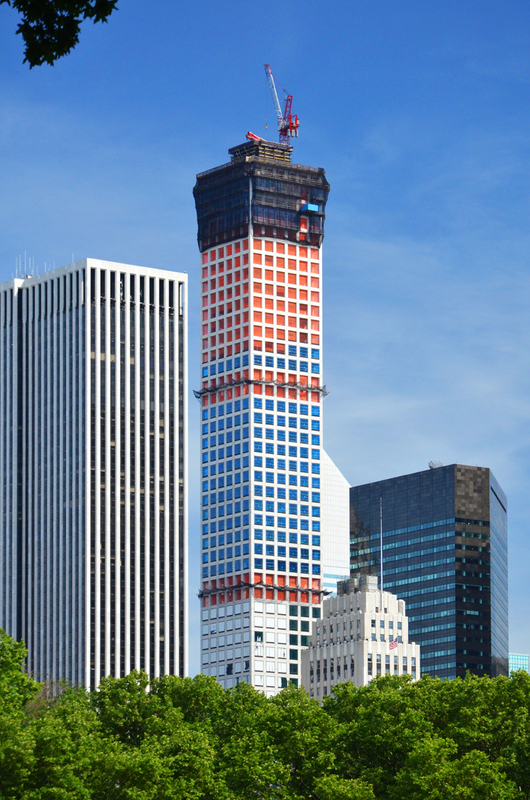 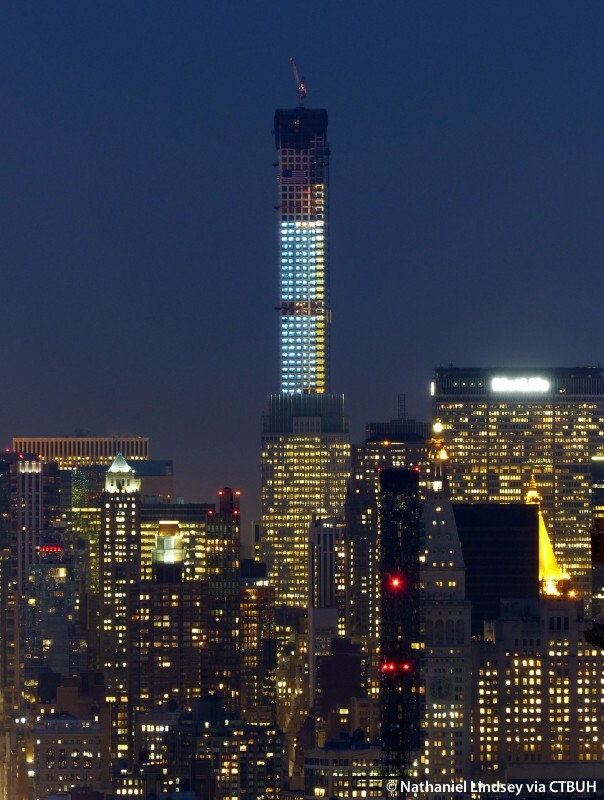 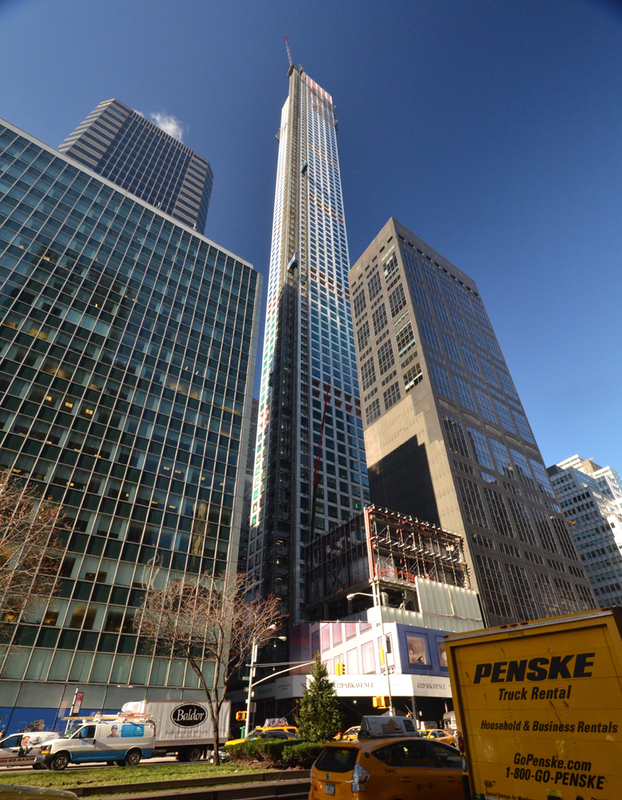 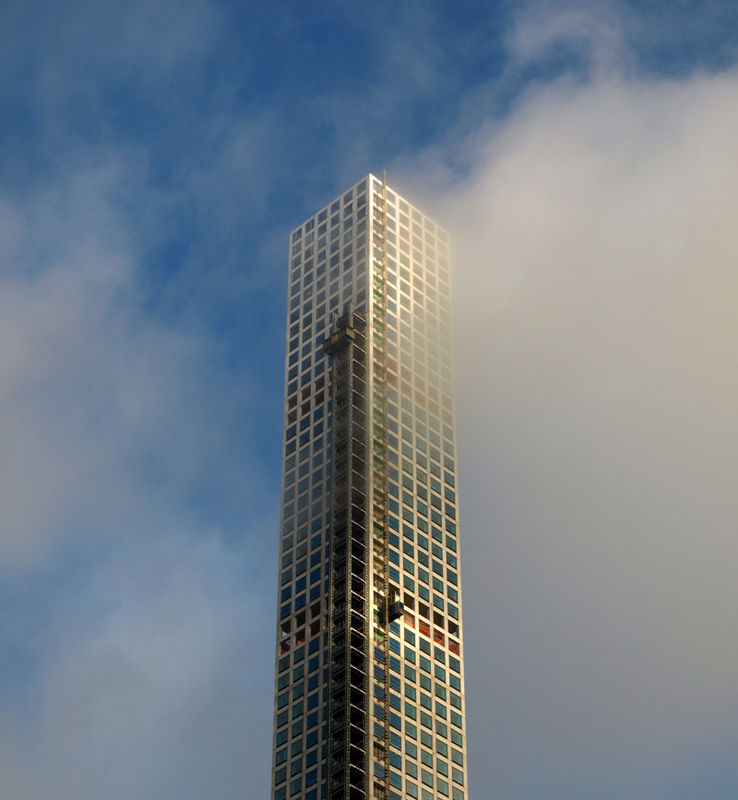 The pencil-thin 432 Park Avenue represents a new generation of supertall, superslim skyscrapers. 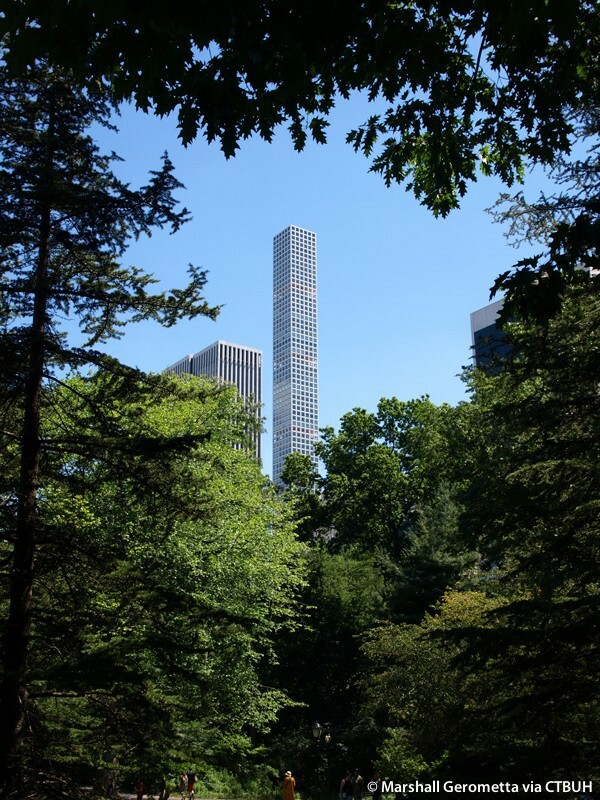 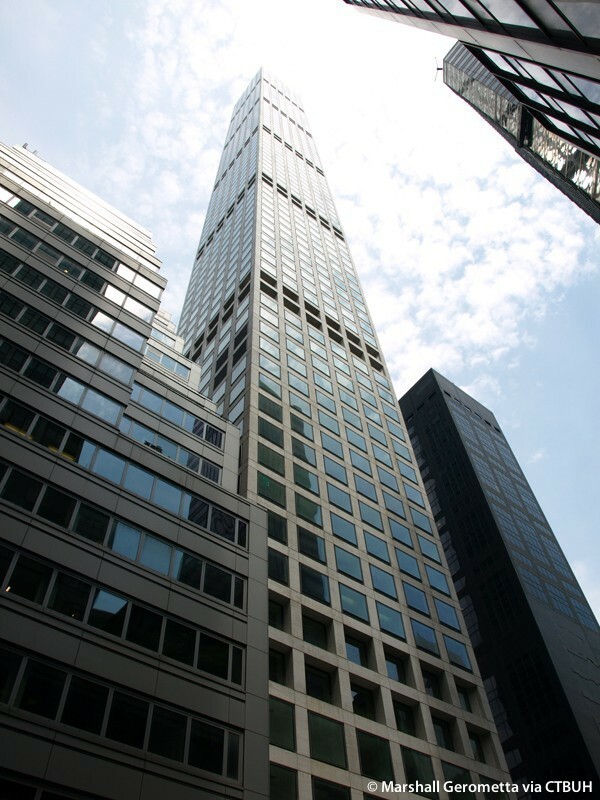 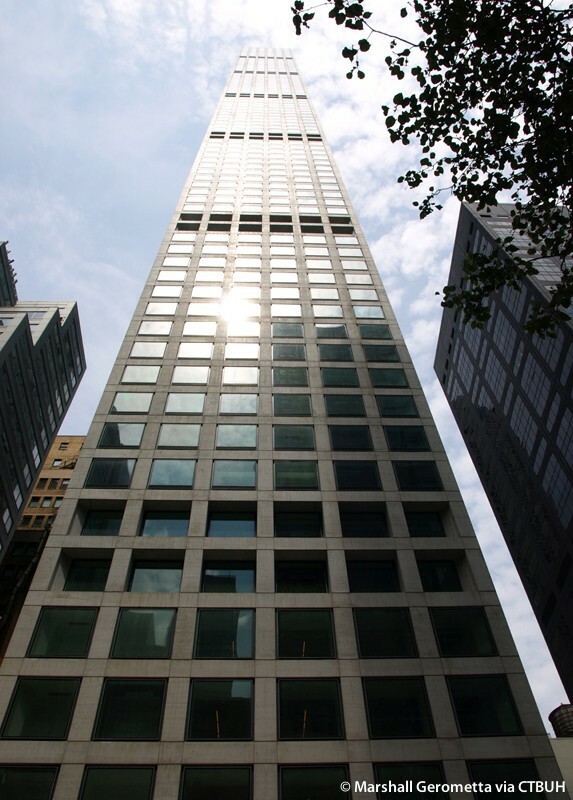 Located in the ever-opulent Midtown neighborhood, the tower is placed in the heart of Manhattan overlooking Central Park. 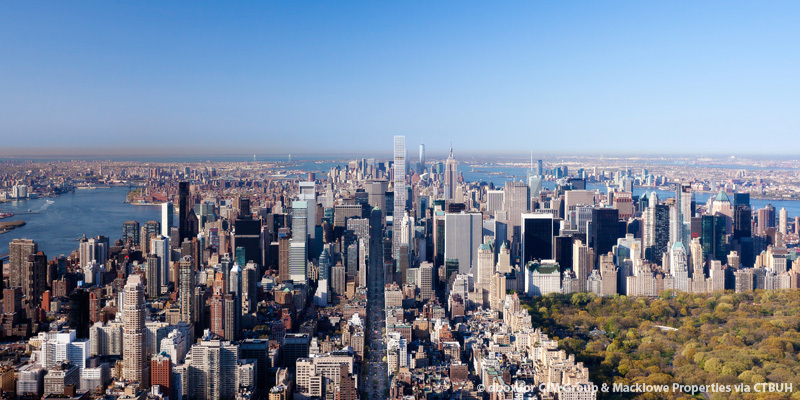 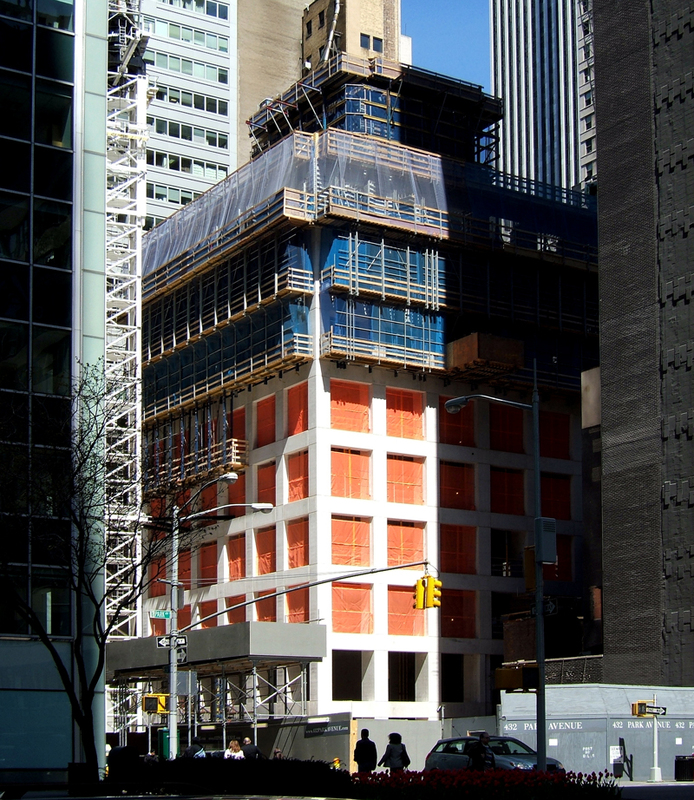 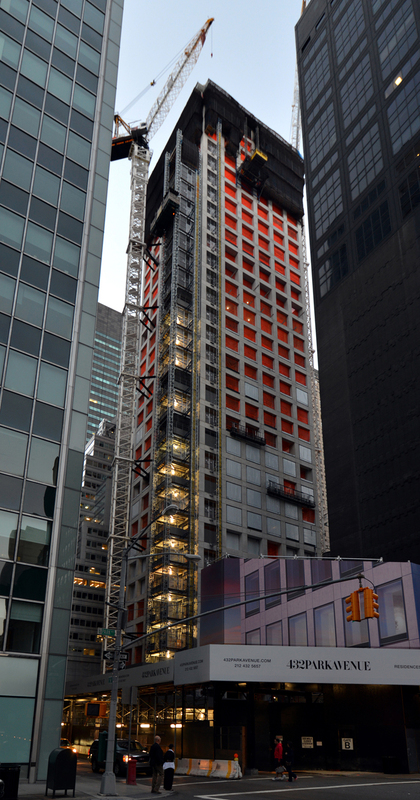 The narrow design of the building is intentional; as Manhattan increases in density, it is becoming ever more important to maximize building heights relative to site area. 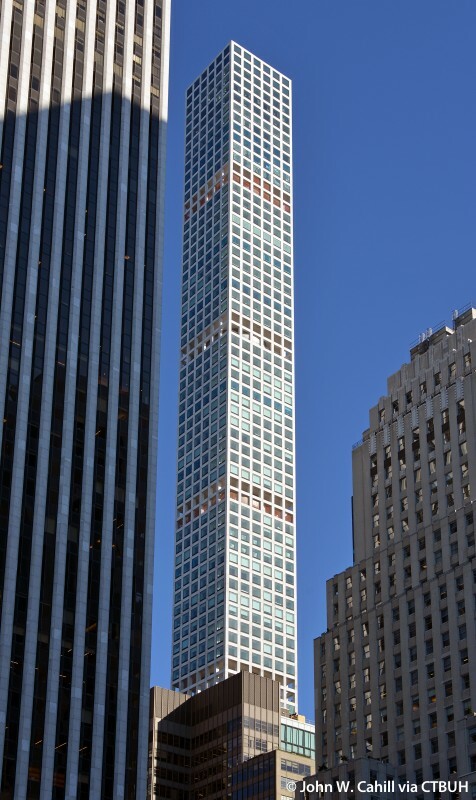 Simplicity is the defining trait of 432 Park Avenue. 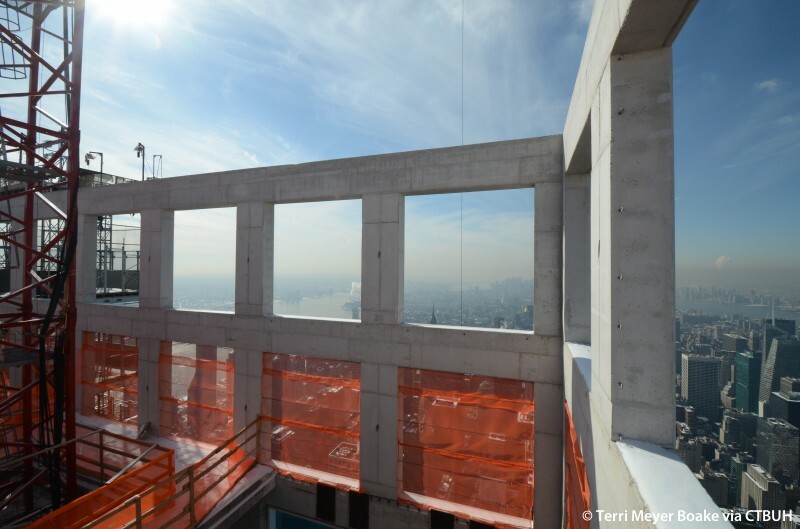 With a series of large glass windows set in a regular grid of exposed concrete members, the building offers few aesthetic frills, but rather rises out of the ground as a singular, white monolith. 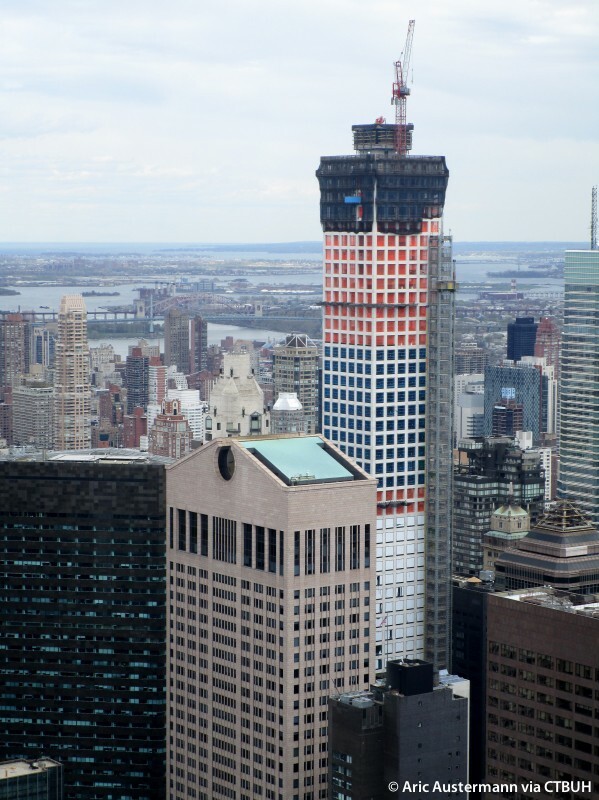 A flat roof neatly caps the rectangular structure. 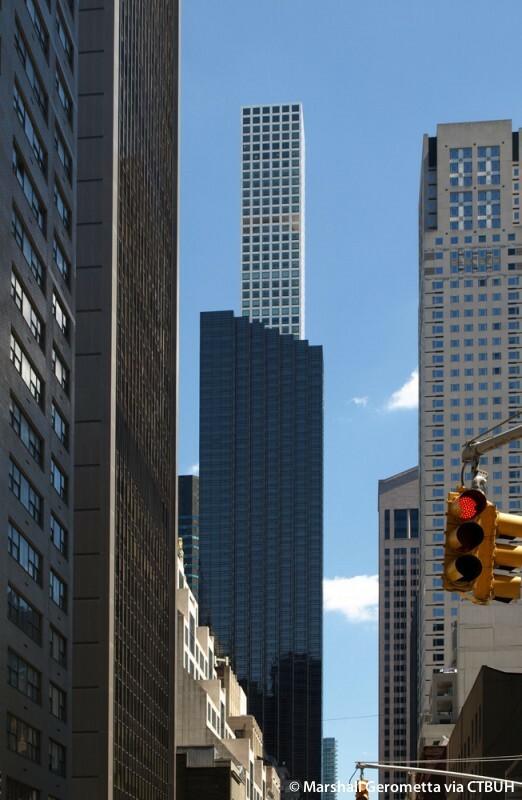 The straight, clean lines of the building’s façade simultaneously manage to evoke a modern aesthetic, while also reflecting Manhattan’s orderly street grid. 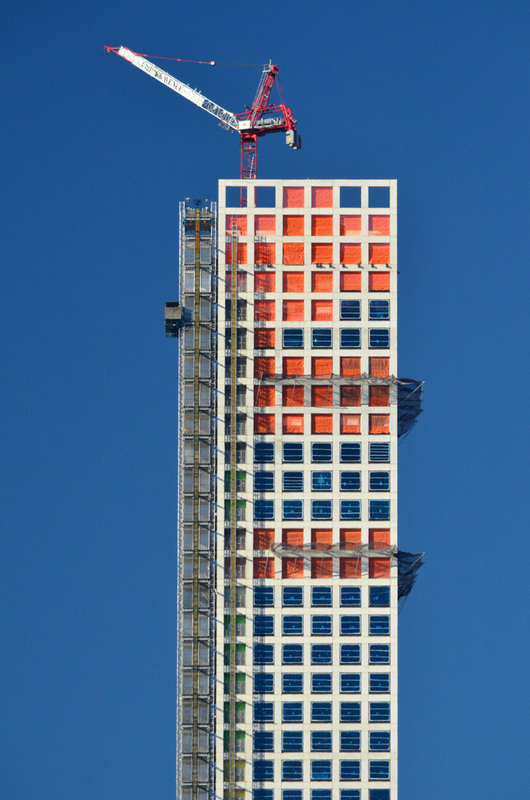 Each floor incorporates 24 9.2-square-meter windows that add weight to the structure, creating a sense of visually stability despite its slender frame. 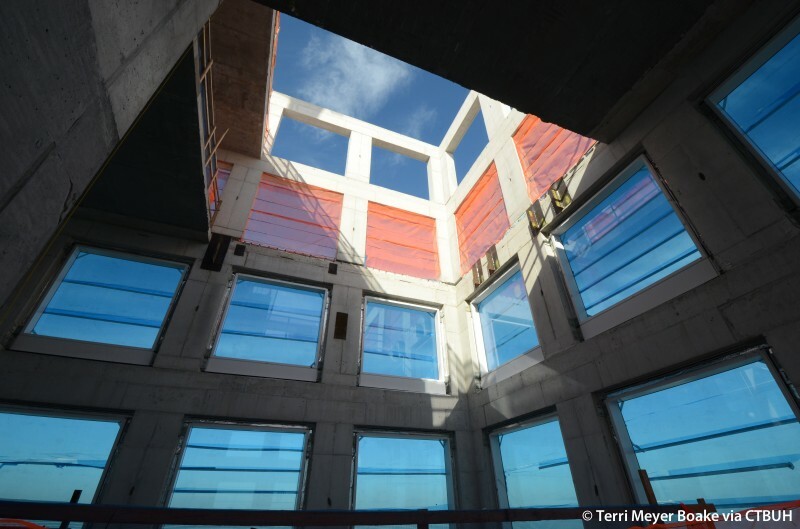 The oversized windows will also benefit residents with ample amounts of light and uncontested views. 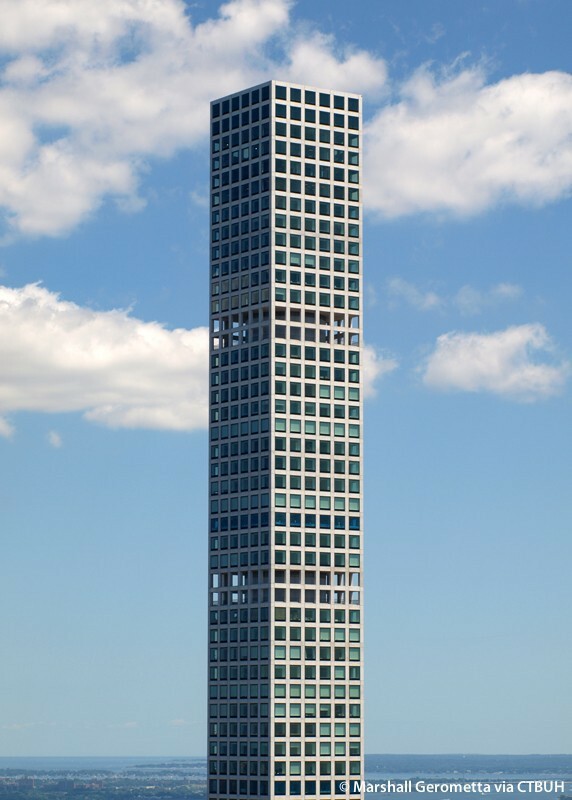 The building’s outward simplicity belies a complex structural scheme. 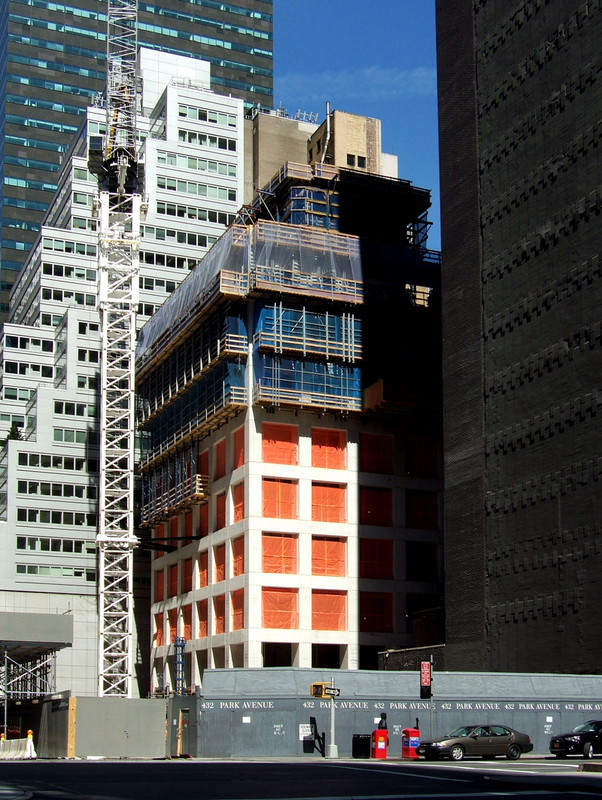 A regular grid of exposed concrete creates an open basket within which seven “independent buildings” stack up, separated by spaces where building cores are exposed to the outdoor elements. 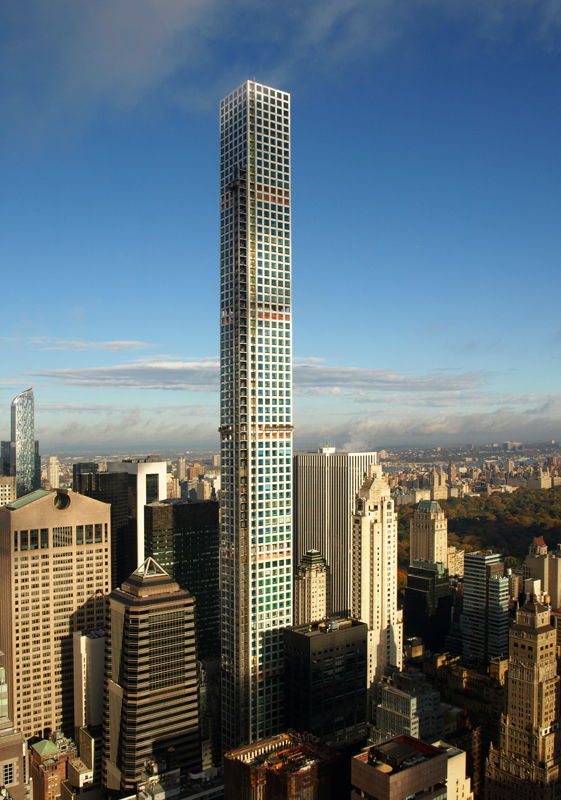 These breaks allow for the deflection of wind pressures and help the building, with its 1:15 slenderness ratio, achieve structural stability. 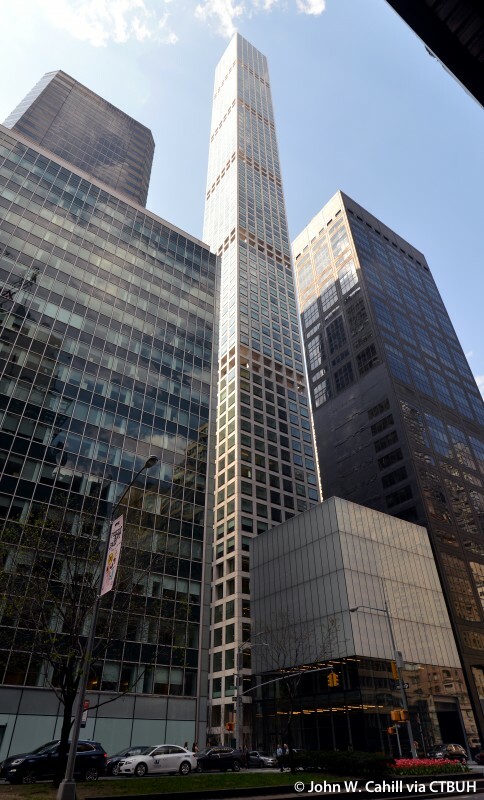 Taken together, the orderly, almost methodical design of 432 Park Avenue manages to fully harness its small footprint without appearing to dominate its surroundings. 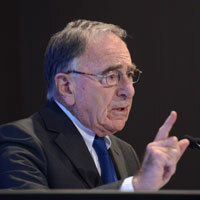 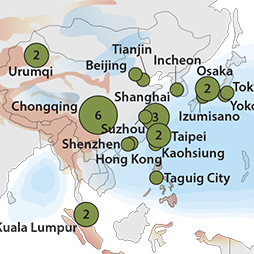 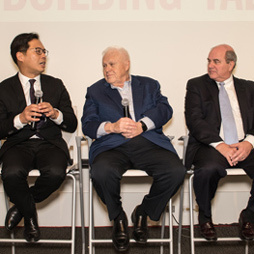 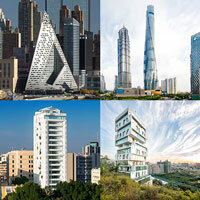 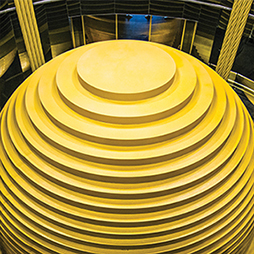 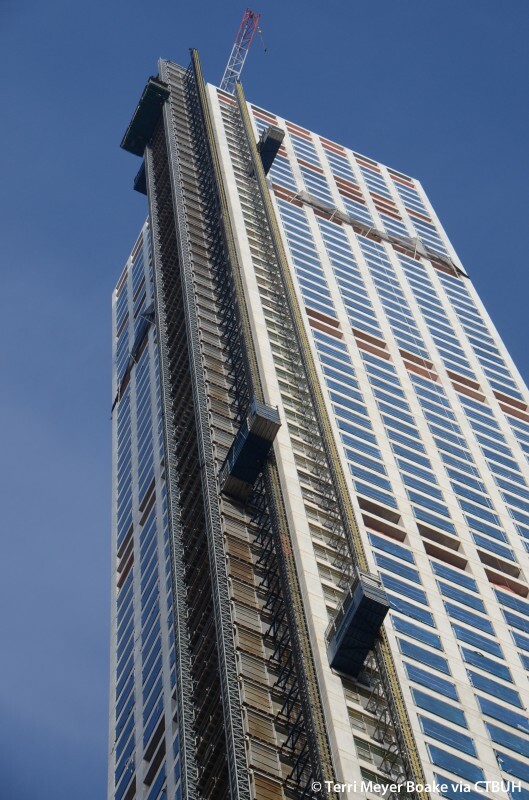 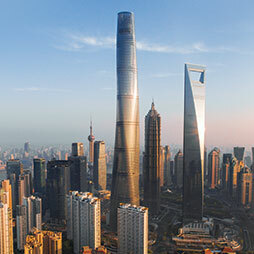 It is clear that this type of economical design will have a lasting impact on the future of tall buildings, as it becomes more important to consider the long-term impact of buildings at such extreme height. 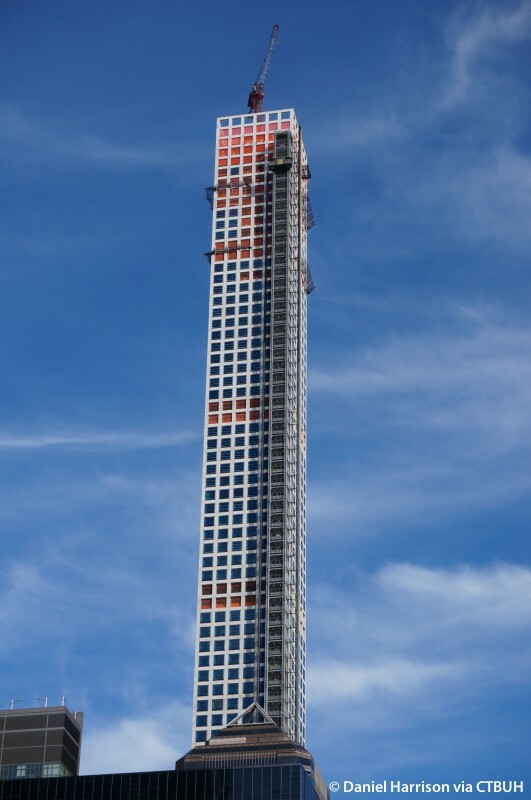 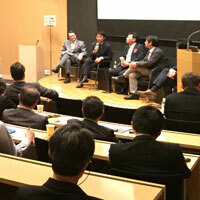 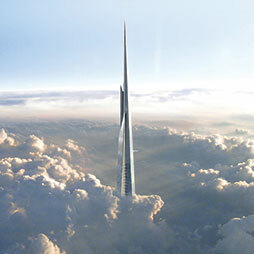 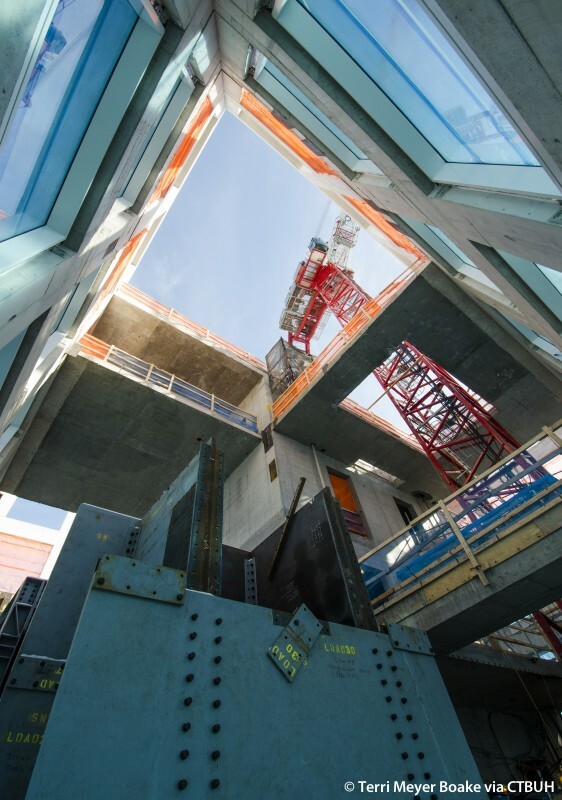 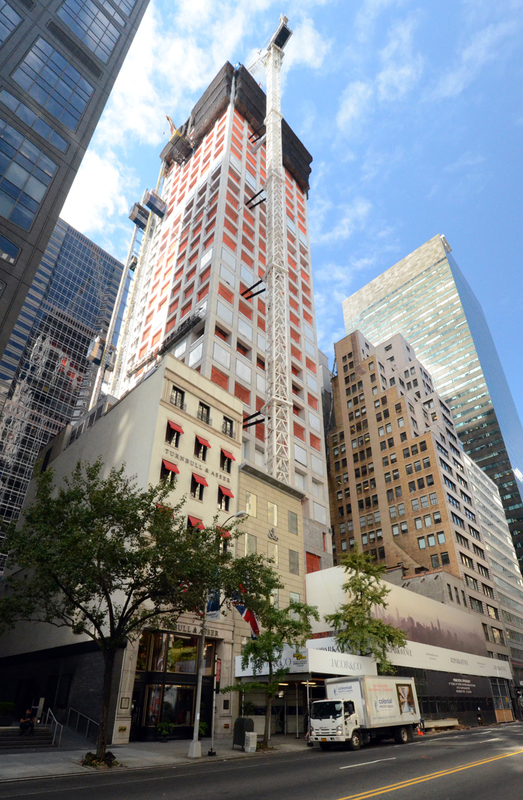 The building will have a height to width ration of 15:1.